On October 9th we’re back at the Old Queen’s Head on Essex Road with a music, words and comedy extravaganza. 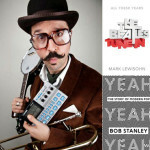 We’re going to be joined by Mark Lewisohn, the world’s foremost Beatles expert, who’s going to talk to David Hepworth about the publication of Tune-In, the first volume of his mammoth three-part biography of The Beatles. 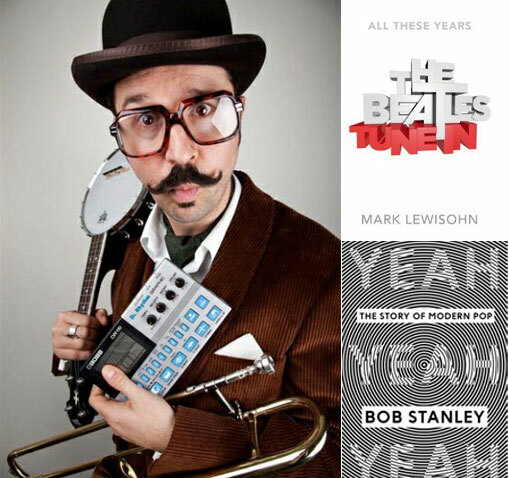 We’ve also got Bob Stanley, musician, film producer and journalist who will be presenting his book Yeah Yeah Yeah: The Story Of Modern Pop. This promises to be an evening replete with opinion, insight and anecdotage which no reader of the late, lamented Word magazine will want to miss. Bob and Mark are added to a bill which already includes Mr B The Gentleman Rhymer – the quickest, slickest, best tailored, most educational and oddly danceable link between the worlds of hip hop and the Drones Club. Widely regarded as the dopest of fellows, Mr B’s mission is to bring some manners and correct grammar back to contemporary beat music. David Hepworth and Alex Gold saw him play in Stockwell a couple of months ago and they both agreed that he rocked not only the house but also the patio and the conservatory. Those B-boys and girls who lived through the ferment of the first hip hop era will be delighted to hear it re-interpreted by a gentleman in three-piece tweed suit with a stiffly waxed moustache. Those who are new to it will find it no less exhilarating and hilarious.